If you have been charged with a DUI, you are probably worried and are trying to find the right attorney for you. With Stolte Law, LLC, you will find the support and assistance you need to successfully navigate the criminal justice system. CHALLENGE PRIOR DUI'S TO REDUCE THE PENALTIES. DUI PENALTIES ARE SEVERE. Stolte Law, LLC has successfully challenged the use of prior DUI's in criminal history scores. I have argued at the Kansas Court of Appeals that certain prior DUI's should not be counted when classifying a DUI. For many defendants across Kansas, this means a severe reduction of fines, jail time, and house arrest fees and custody. Contact Stolte Law, LLC to see if your case qualifies for a reduction of charges. A first DUI is classified as a "B" Misdemeanor. It carries a minimum sentence of 48 consecutive hours in jail and up to six months in jail. The fine ranges from $750 to $1,000. In addition to the statutory fines, you could also have to pay court costs and fees, probation monitoring fees, drug and alcohol evaluation fees, urinalysis testing, and for drunk driving classes. WHAT ARE THE PENALTIES FOR SECOND DUI? A first DUI is classified as an "A" Misdemeanor. It carries a minimum sentence of 90 days in jail and up to one year in jail. The fine ranges from $1,250 to $1,750. You must do a minimum of five days in custody. In many cases, this includes 48 consecutive hours in jail followed by 120 hours of house arrest. In addition to the statutory fines, you could also have to pay court costs and fees, probation monitoring fees, drug and alcohol evaluation fees, urinalysis testing, and for drunk driving classes. A first DUI is classified either as an "A" Misdemeanor or a Felony. Classification depends on the particular circumstances of your prior DUI convictions. A third DUI carries a minimum sentence of 90 days in jail and up to one year in jail. The fine ranges from $1,750 to $2,500. You must do a minimum of 90 days in custody. In many cases, this includes 48 consecutive hours in jail followed by 2,160 hours of house arrest. In addition to the statutory fines, you could also have to pay court costs and fees, probation monitoring fees, drug and alcohol evaluation fees, urinalysis testing, and for drunk driving classes. 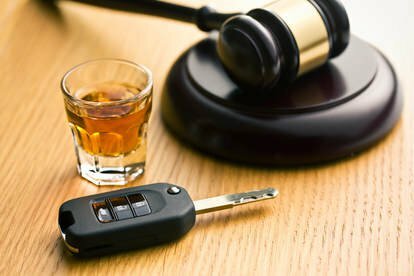 WHAT ARE THE PENALTIES FOR A FOURTH DUI? A fourth, or subsequent, DUI is classified as a Felony. A fourth DUI carries a minimum sentence of 90 days in jail and up to one year in jail. The fine is $2,500. You must do a minimum of 90 days in custody. In many cases, this includes 72 consecutive hours in jail followed by 2,160 hours of house arrest. In addition to the statutory fines, you could also have to pay court costs and fees, probation monitoring fees, drug and alcohol evaluation fees, urinalysis testing, and for drunk driving classes. According to MADD, there are 300,000 drunk drivers on the road each day. That's 109,500,000 drunk drivers every year. Police arrest about 3,200 drunk drivers per day, or 1,168,000 per year. According to NHTSA, there were 9,967 DUI-related deaths in 2014. For Kansas, of the 385 vehicle fatalities, 172 were involved in accidents where the driver's BAC was .08 or above. A DUI-related death, per NHTSA, means any accident where any driver has a BAC of .08 or above. With 300,000 drunk drivers on the road each day as alleged by MADD, it is easy to understand how a DUI arrest can happen to anybody. Whether you left a holiday party too early, were on prescribed medications, or simply thought you were safe to drive Stolte Law, LLC offers a judgment-free representation experience. I know how easily a DUI arrest can happen. DISCLAIMER: Obviously, the link to the Intoximeter website is offered as a rough estimate for informational purposes only and should not be used to determine whether you should actually drive.